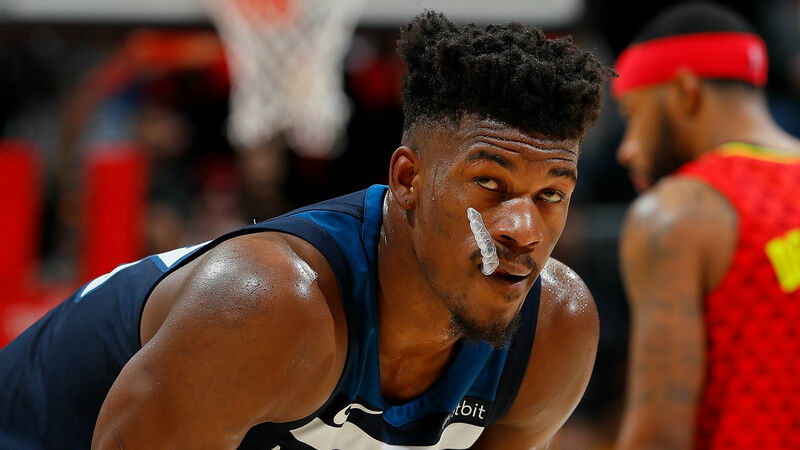 Jimmy Butler has made it known that he wants out of Minnesota, a story that dates back to our reporting last spring that Butler was unhappy with the work ethic of fifth-year player Andrew Wiggins, who is just starting a max four-year, $148 million deal with the Timberwolves. But for Butler, escape might not be so easy. He has been unwilling to re-sign to an extension with Minnesota this summer, a prelude to his apparent exit. TRADE RUMORS: Will these five teams target Butler? Butler is said to have a list of three teams he sees as long-term options. The Clippers and Knicks are among them. But the Wolves, following the lead of the Spurs with Kawhi Leonard and the Pacers with Paul George, intend to make Butler available to any team, no matter whether it appears on his preferred-team list. Getting a fair return for Butler, especially if he continues to insist on a three-team list, will be almost impossible for Thibodeau and the Wolves. But it’s also a necessity if Minnesota expects to build and improve on last year’s playoff appearance. That’s why, if Thibodeau sticks with the team, it’s expected the Wolves will look to make a deal for a comparable veteran, even if the player is on a pricey contract or in a market that Butler has not listed among his favorites. The Suns and Nuggets are, among opposing executives speculating on Butler’s future, expected to be teams making offers. Of course, there is the possibility that Thibodeau is not ready to give up on Butler, not with Luol Deng joining his roster packed with Butler’s former Bulls teammates, all coached by Thibodeau. Thibodeau has the option of holding onto Butler, letting him see how the early season plays out for youngsters like Wiggins and Karl-Anthony Towns and hoping to convince him to stay if those two improve dramatically. “A lot of this has to do with the work ethic of those young guys, and sometimes young guys just click and they get it out of the blue,” one league general manager said. “For Thibs, that would be the way he prefers to play this. That’s likely to be wishful thinking, however. The Wolves now know they need to move Butler. The most pertinent question is whether they do so to a team of his preference, or to a wildcard altogether.